NOTES: The first version of Steeler was packaged with the MOBAT tank in 1982. 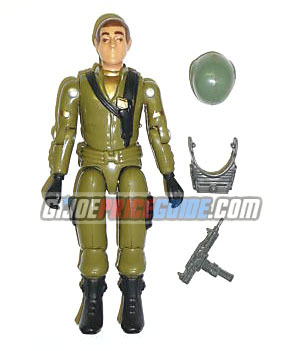 He came with straight arms and the same Uzi as version one of Snake Eyes. It can be very difficult to match up the correct green helmets with the appropriate early figures.